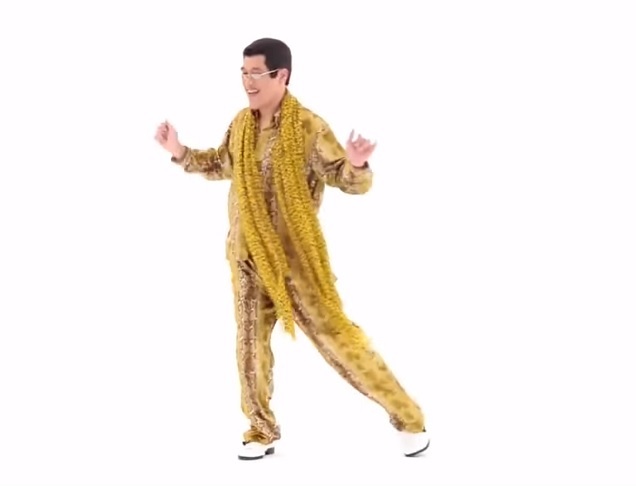 PPAP is sung by a fictional character called DJ Piko-Taro, played by 40-year-old Kazuhiko Kosaka. Overnight, he became a star. Is the song catchy? Of course. But does it have the potential of ruining your train of thought? Oh, you bet. And since it’s almost unavoidable, you might as well want to learn how to do the PPAP dance as well, since it’ll definitely make you a hit at the next wedding you attend. Ready to hear it? The video was uploaded on YouTube twice, just a few days ago — and with the figures of both videos combined, the song has way more than 20,000,000 views at the time of publication. Now, the one thing the song definitely has going for it is length — it’s just short of a minute long. But, just wait until the club remix versions of it come out. We can’t wait to see what DJ Piko-Taro’s follow-up song is! In the meantime… anyone suddenly in the mood for some pineapple?